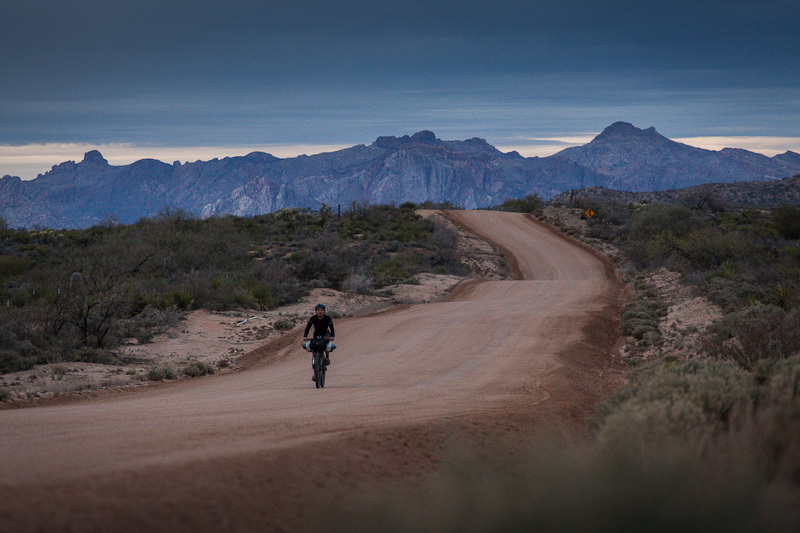 Still, there’s no doubt it’s a wondrous part of the state to explore on two wheels. 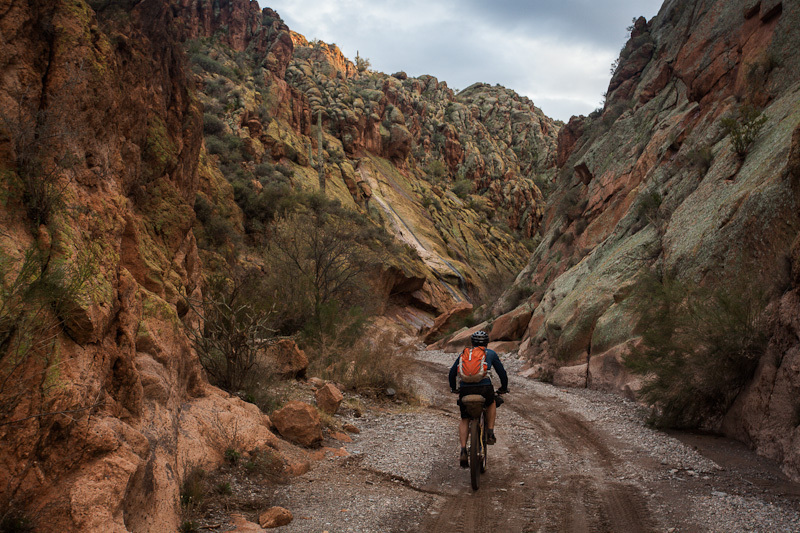 The mineral-rich landscape is in every way a match for the riding on offer; rocky jeep tracks, hewn from sheer sided canyons, link one abandoned mining settlement to the next. 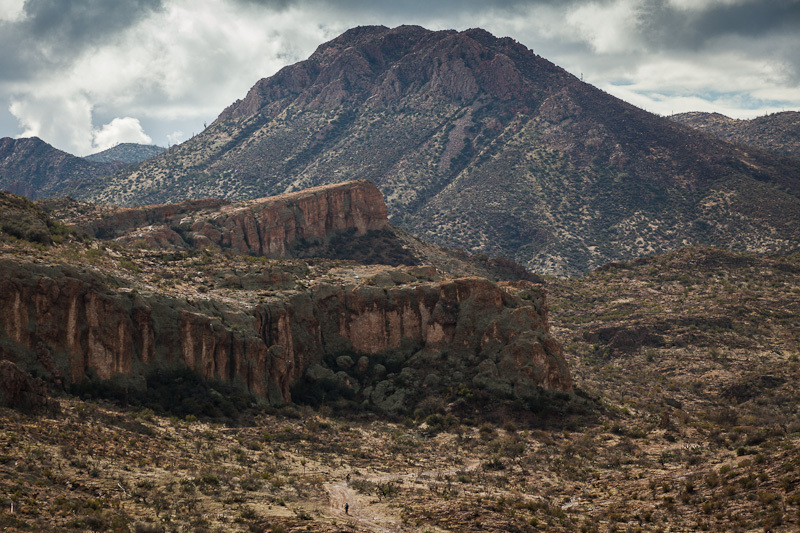 Imposing red rock buttes and mesas, along with the ever-craggy Superstition Mountains, complete the scene. 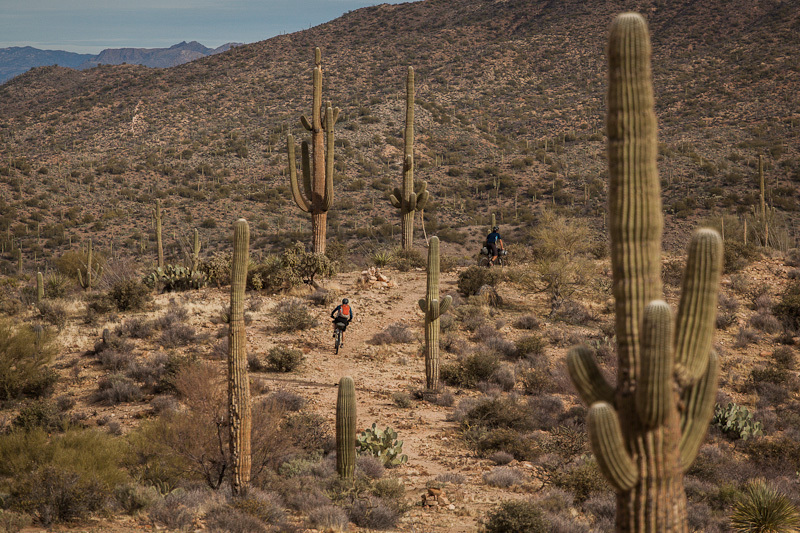 This is rugged desert riding at its finest. Joe rode: his Rob English, that cleverly dislocates into two for easy air travel, as he was flying in from New York. Gary rode: his custom AM Peirce, fitted with a ‘dinglespeed’ – yes, just two gears. He only used one. I rode: my mighty Krampus, complete with goliath tyres. 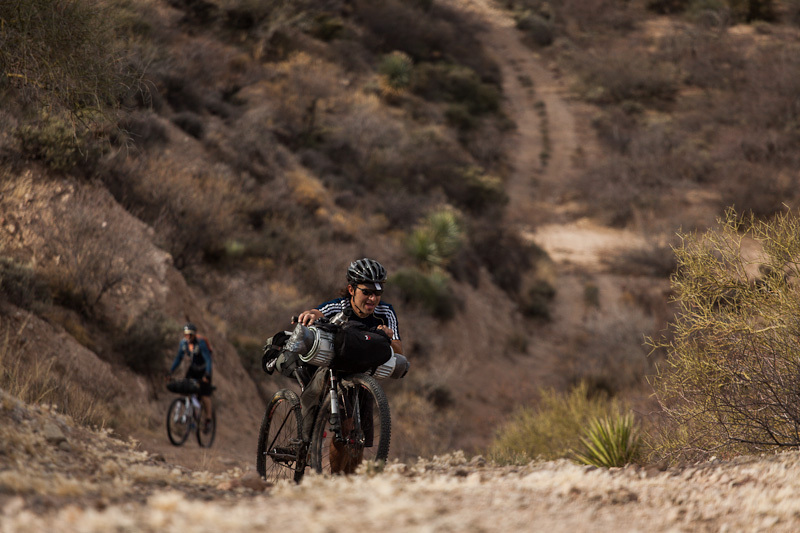 This is definitely a ride where packing light pays dividends; we all sported bikepacking soft bags (Porcelain Rocket and Revelate) to best enjoy the singletrack riding. 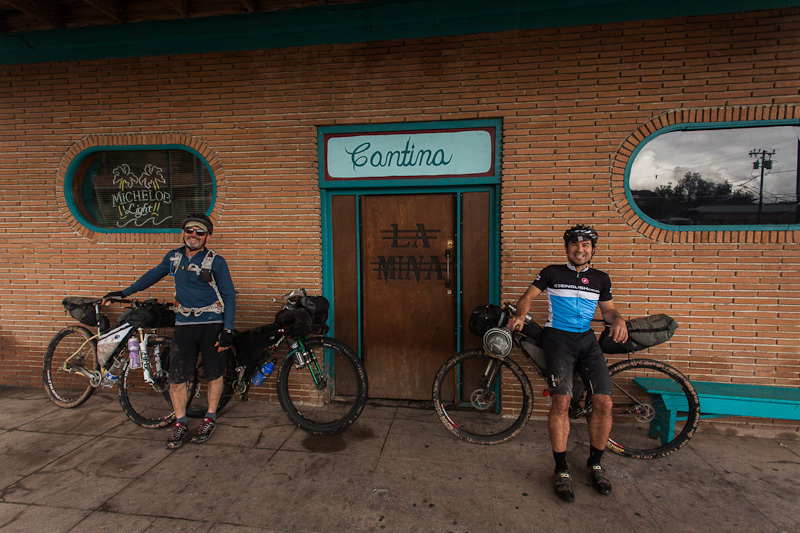 Gary and I ran tubeless tyres, Joe loaded his inner tubes with sealant – a must in this prickly part of the world. This was my second bikepacking trip on the Krampus, and one that reinforced how much I enjoy riding this beast of a bike on a multi-day ride. The extra heft of those 3in Knard tyres didn’t prove problematic, handsomely compensating with their bonus grip (both up and down) and their rock-muffling prowess. I didn’t miss a lack of a suspension fork, nor did my back. 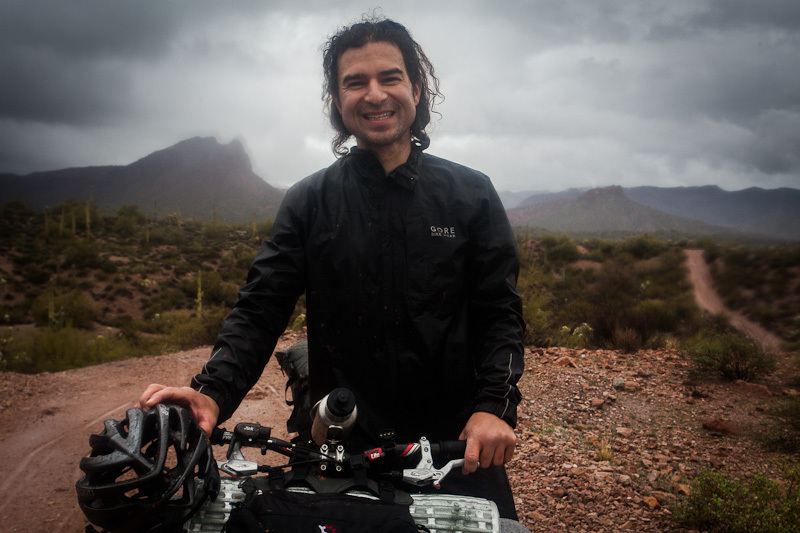 I did, however, suffer one cut on the rear tyre – the rocks on the AZT are known for their blade-like sharpness – but thankfully it didn’t penetrate the casing, and looks to be holding out just fine. The only real issue I ran into was the chain to tyre clearance, at least with the 1×9 setup I was running. The chain runs extremely close to the tyre when shifted into the last cog – a 36T in my case -and has a tendency to pick up mud and sling it both into the rear derailleur and the front chainring. Bad news. If I was running an MWOD or OD double, I could avoid using that last cog as much for the gear range I needed. As it is, I’ll soon be converting to a Rohloff, which should eliminate the issue altogether. To be fair though, these were the kind of foul conditions that would probably have made a meal of any derailleur system, single, double, triple or otherwise. 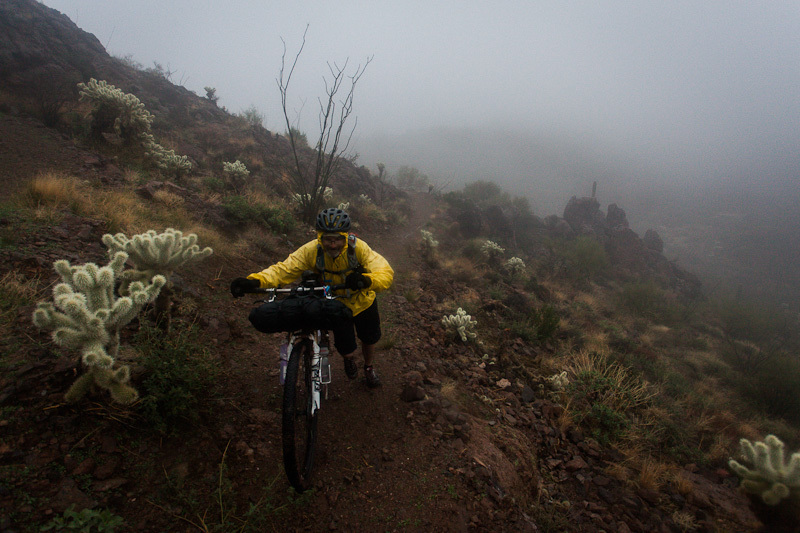 All the necessary gpx files to download can be found at bikepacking.net’s Gila River Ramble web page, along with navigational cues and waypoints for all important water spots – not that this was an issue for our sodden ride. 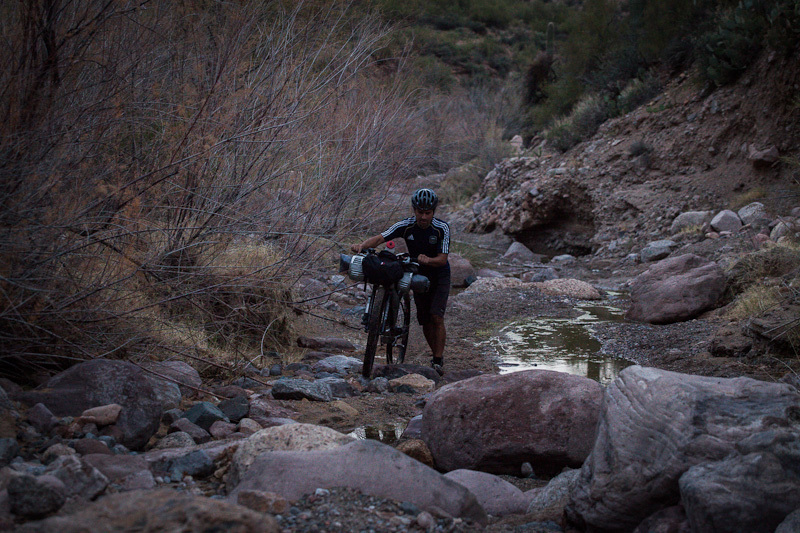 We started our loop at the Gila river crossing east of Florence, linking Kelvin (no food or water) and Superior (all services), returning via Box Canyon. 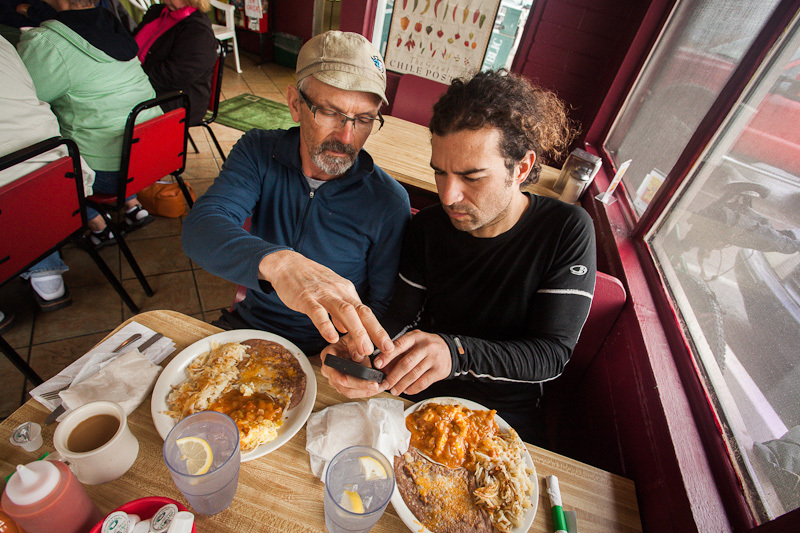 Between the three of us, we used a concoction of Garmins and iPhones – Gaia is an excellent offline topo app and well worth the $20 download fee. Unless you have a dynamo and a dust/waterproof phone case to hand, a handlebar mounted GPS unit makes for fluid riding and is far more efficient in terms of battery usage. The user-friendliness, the interface of a smartphone offers a better sense of the whole ride, making for easier tweaks to the tour if needed. For Joe’s musings, check out his fantastic site, Pedaling in Place. 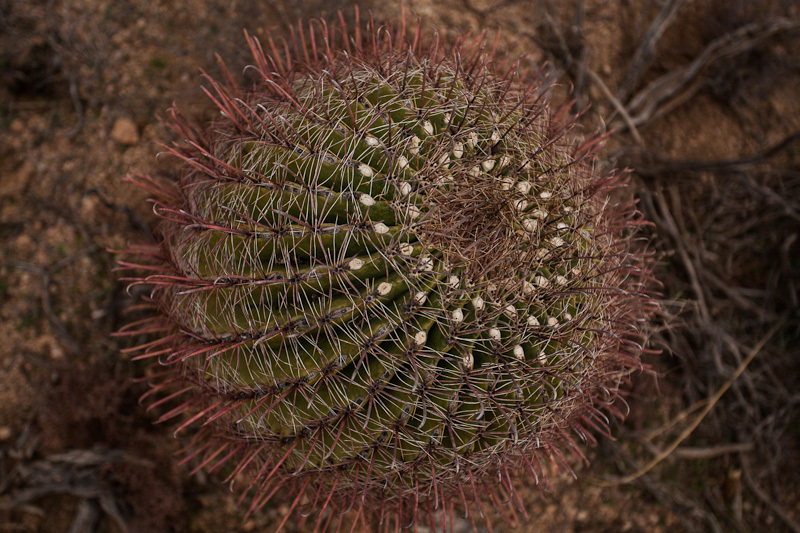 Gary’s photo album – complete with my cacti encounter – can be found here. 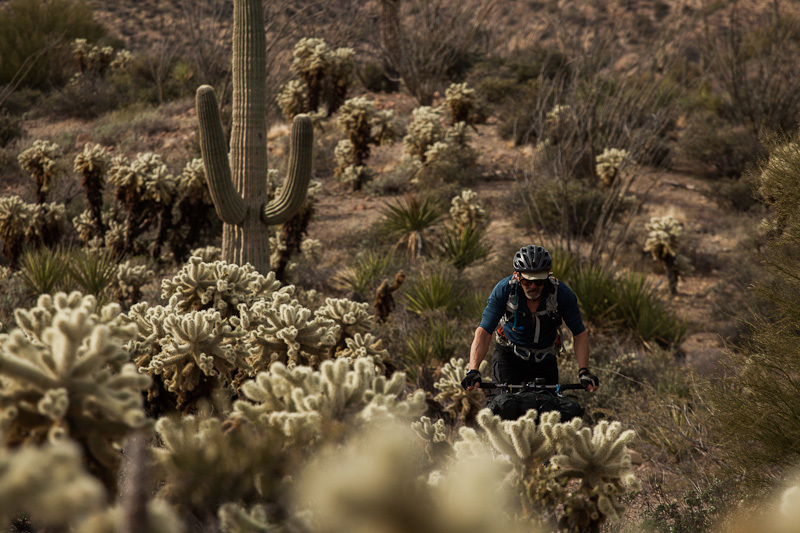 Although we’d always intended a chilled, laid back pace to our ride, our distances were loped short by the trail conditions, and travel times that bookended the trip. 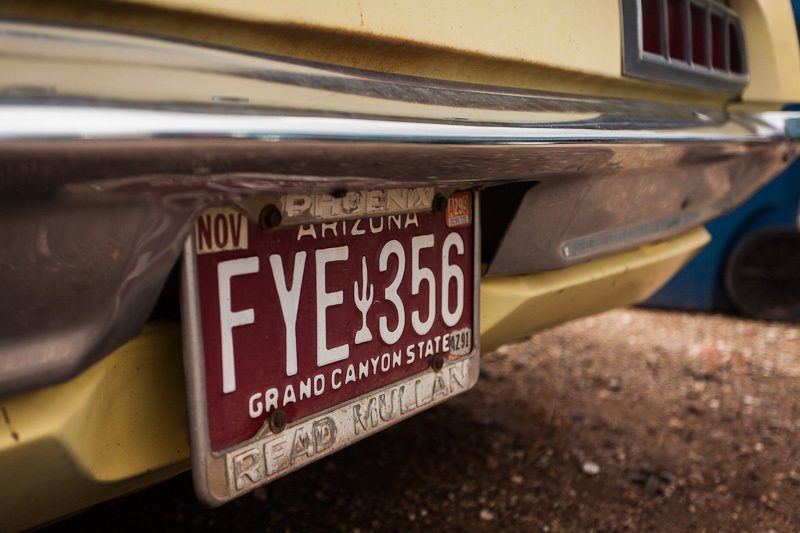 After the inevitable late start that preludes such tours, we take to the road, a few miles east of Florence, AZ. 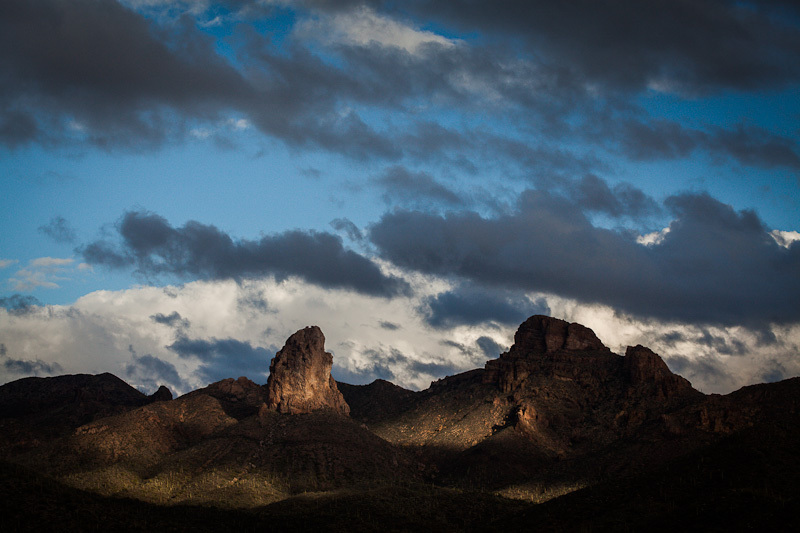 The majestic Superstition Mountains are never far from view. 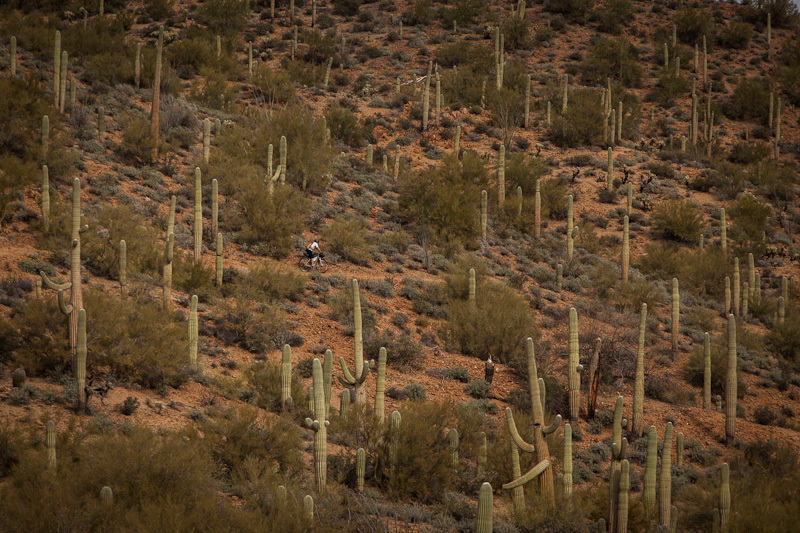 Saguaros cacti, omnipresent residents of the Sonoran desert, stand vigil around every corner. Scoping out a campspot for the night. Campspot found, food is prepared. Over the years, Gary’s fine-tuned his lightweight gear, without throwing money at it for no reason: his setup is as lean as his physique. As such, he favours a homemade denatured alcohol stove into which he carefully measures thimble-fulls of fuel. An insulated cozy completes the cooking procedure. This is a list of what he generally carries. Dawn brings a few tantalising beams of sunshine. It’s the excuse we need to linger around the campsite. In the absence of both tent poles and trees, note Joe’s cunning use two front wheels to support his tarp for the night. More gear nerdiness: an elegant Rob English 29er, complete with Revelate bikepacking bags, and Shimano 8 speed internal hub for ease of travel. As usual, the minutae of our gear choices are discussed and debated. Fearing the wrath of desert spines, Joe has opted for a bulkier traditional foam pad over an inflatable Thermarest. 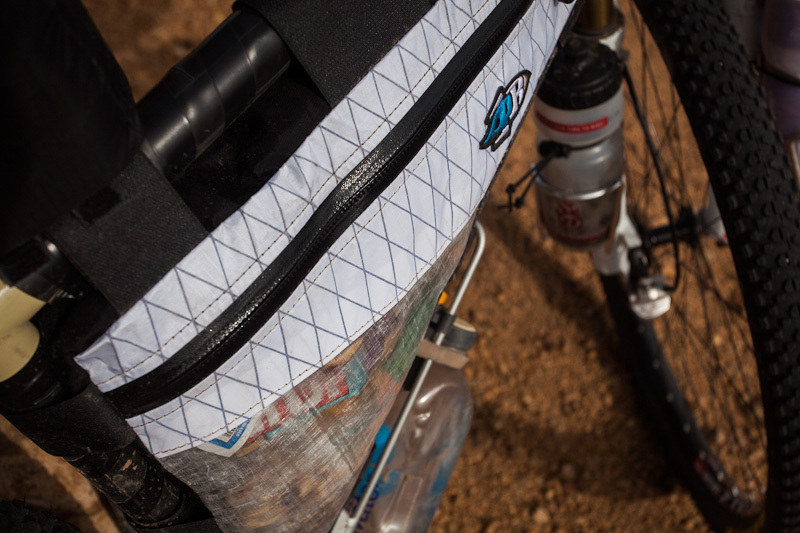 Framepacks provide the means to centralise cargo on the bike, which suits more challenging terrain. Gary’s brand new Porcelain Rocket pack is fashioned from high tech Cuben fiber (hence visible Clif bar), weighing in at a scant 190g. Probably more to do with his legs than his gear, Gary is often a blip on the horizon which we scramble to chase. 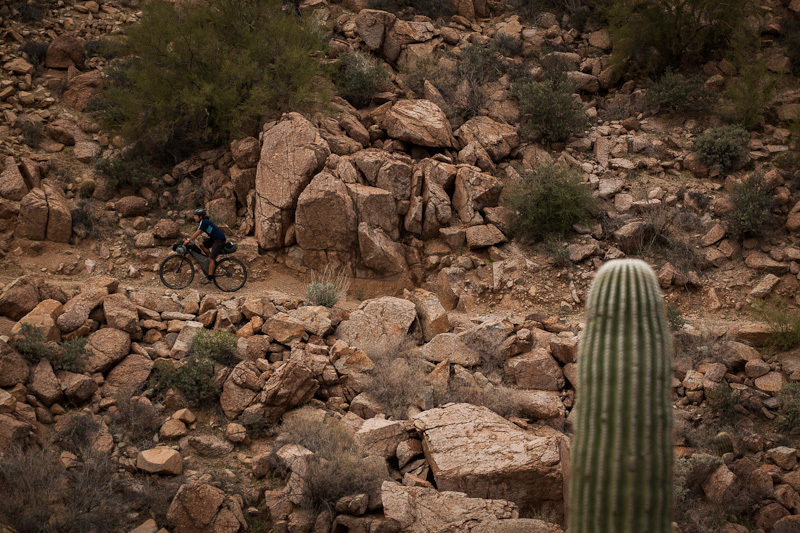 Then, after a stint on two-track, we take to the Arizona Trail. 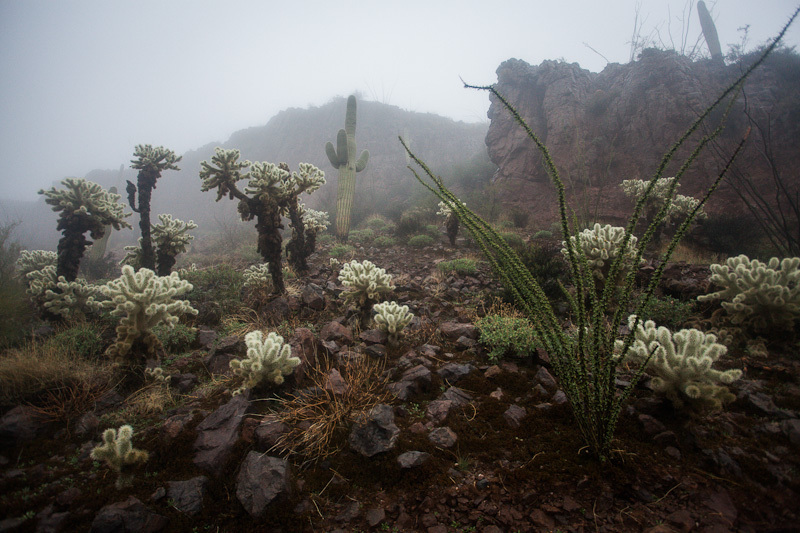 Choya cacti, alien-looking life forms that speckle the mountains. This particular section of the trail is known as Ripsey. After a prolonged climb, it picks its way delicately along the knife edge of a ridgeline. 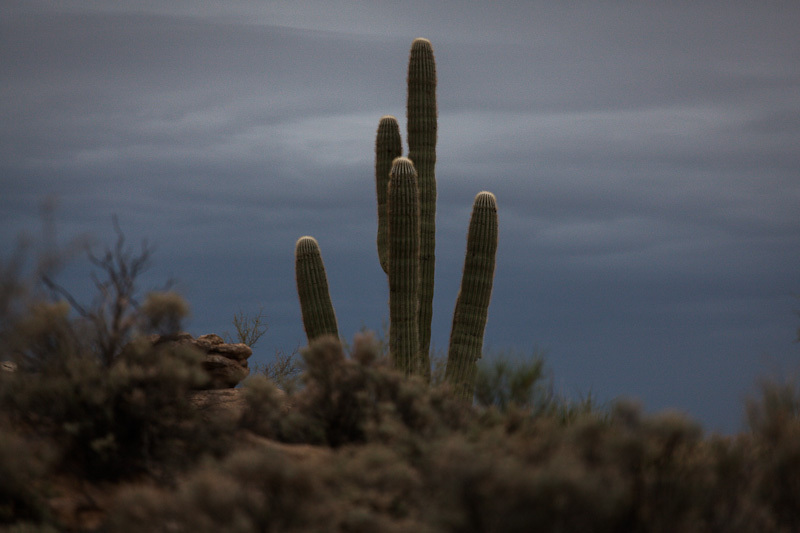 … wending its way amongst the beanpole saguaros. At one point, we cross paths with an ultra runner, who in a babble of words, downloads all the ‘beta’ for the trail ahead. ‘It’s brutal out there,’ he concludes, with a touch more drama than may be necessary, before bounding off in his zebra-stripped gaitors. 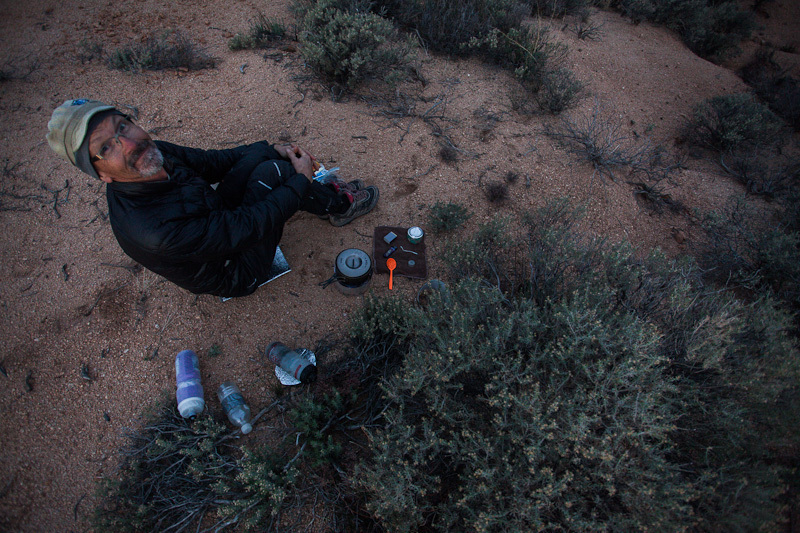 A short scramble leads us to the campspot for our second night, where plentiful and clean water is to be found at an artesian well. The evening’s entertainment comes courtesy of Joe’s iPhone, which we huddle round to watch Batman: The Dark Knight Rises. Joe, a university philosophy professor no less, claims to have seen this movie ten times, a handfully of which were in the theatre. In fact, the terrain ahead does indeed prove to be brutal, but not for the reasons for which we’ve been warned. Day 3 is marked by rare rainfall that fluctuates from torrential downpours to persistent drizzle… On a brighter note, at least it brings out the colourful wonders of the desert: the choya cacti positively glow. 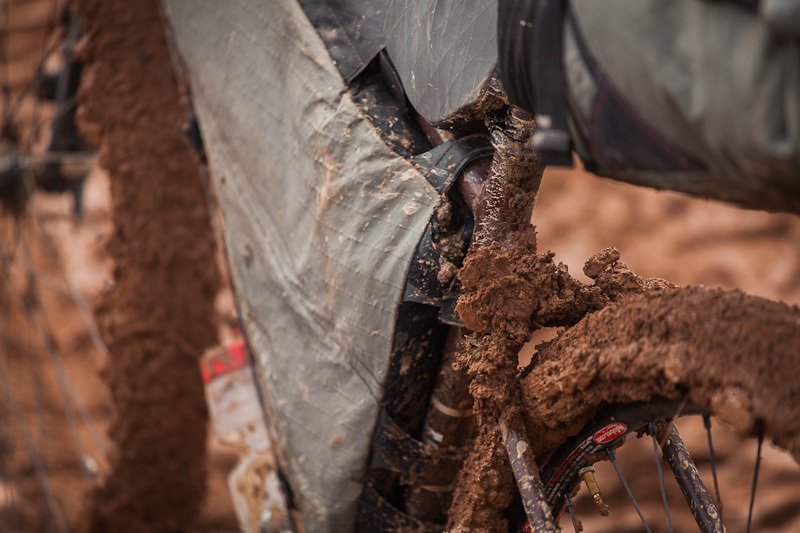 Loose and sloppy mud, combined with tired legs, has us pushing up many of the climbs. Inevitably, I forgo taking photos once hands and fingernails are encrusted with mud. This record of Joe’s steed is just the tip of the muddy iceberg. … out of which appear bizarre monolithic sculptures. 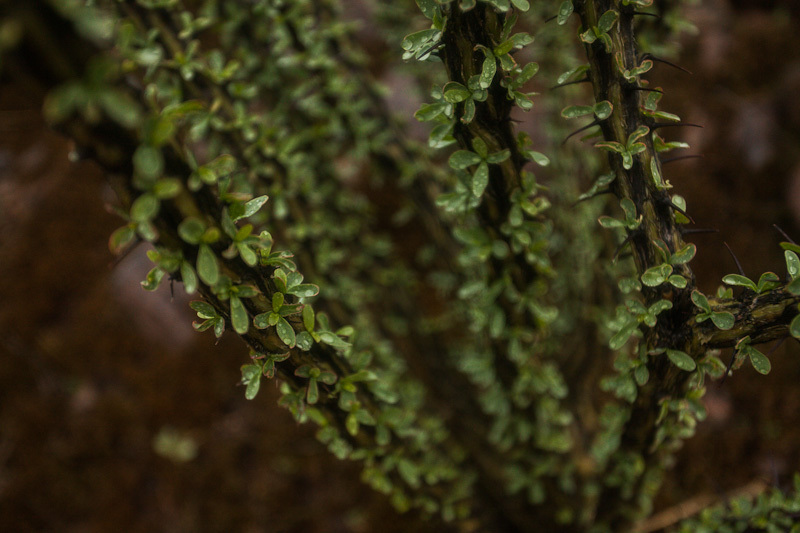 An ocotillo cacti begins to bloom. 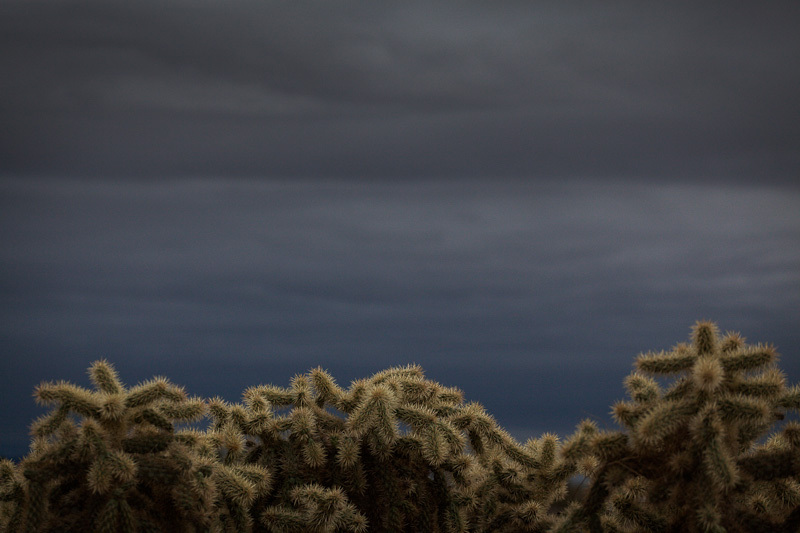 Kickstarted by the storm, in a month the desert is sure to be awash with vibrant flowers. Joe, bedraggled but still smiling. The day is punctuated by knee high creek crossings and congealed, muddy quadmires through which we drag our bikes. We reach Superior long after nightfall, seeking refuge in Casa Donegean. Two rounds of tortilla chips are demolished in quick succession before we begin to debrief. Gary and I polish of a combination platter each, while Joe makes quick work of two generously-proportioned burritos. 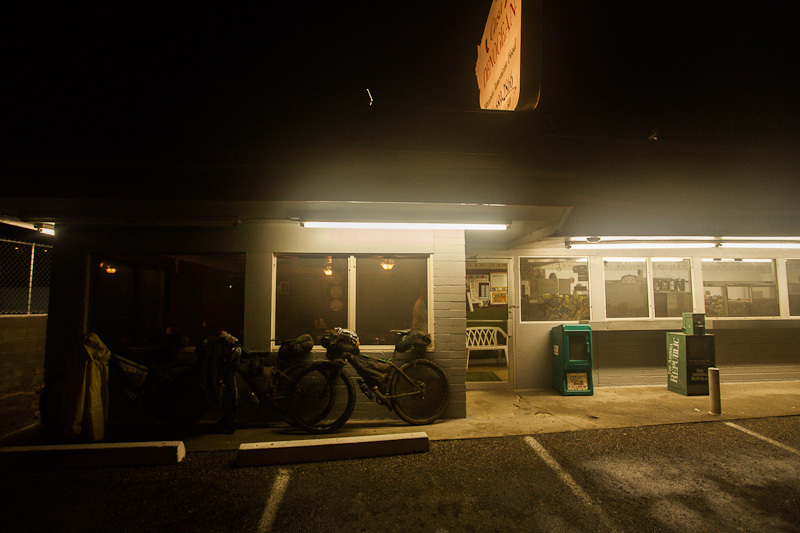 A night in a motel provides a chance to dry of bodies, gear and bikes, then we’re back at Casa Donegean for a breakfast feed. 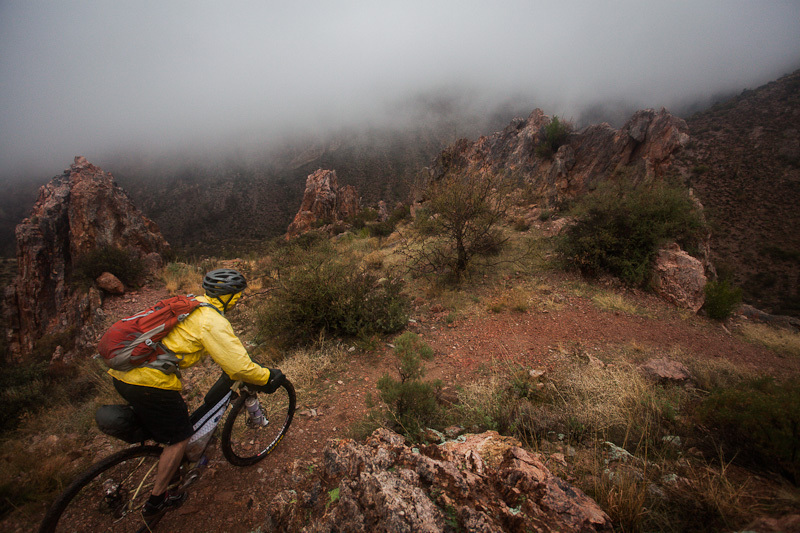 Given the continued downpour, we consult the iPhone, reluctantly opting to bypass the singletrack south of Picket’s Post, supposedly one of the gems of the Arizona Trail. Bellies full. Bodies dry. Considerably happier. 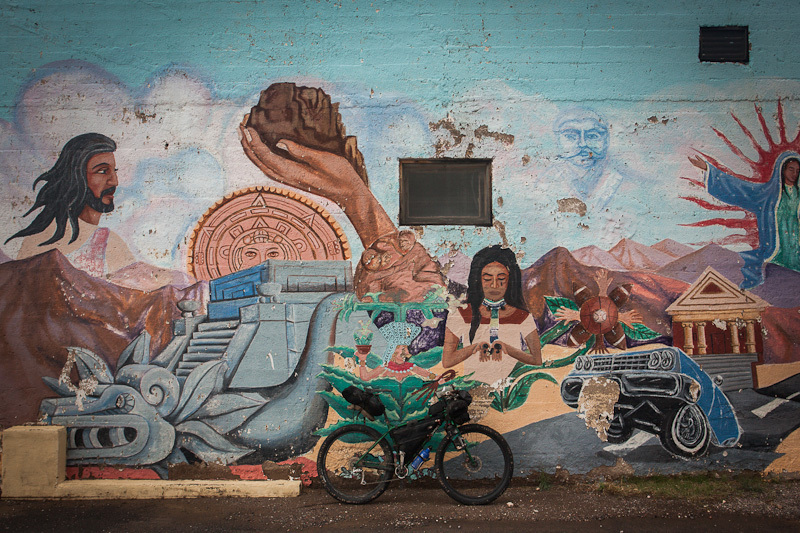 Downtown Superior, a somewhat ramshackle and characterful old copper mining town, is being resuscitated back to life to draw tourist dollars. Of course, I can never resist a good mural. 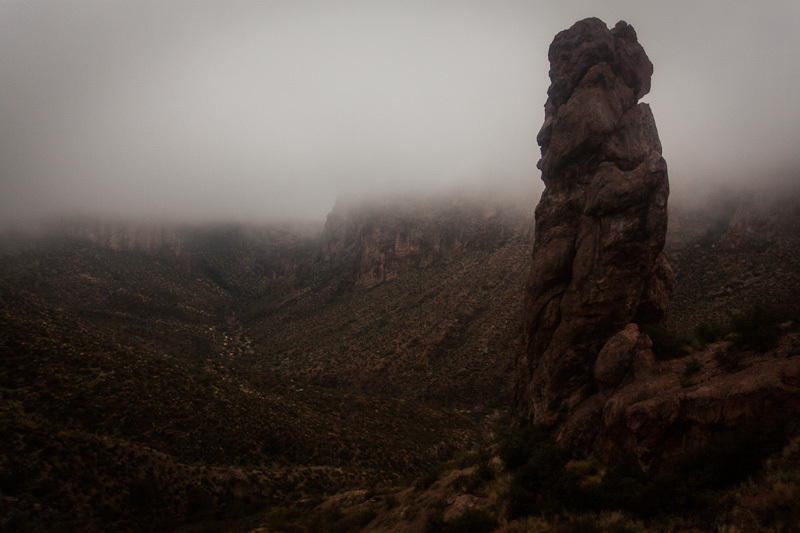 Then, we’re headed back into the mountains once more, dwarfed by the rockface that towers above us. As the rain stops, conditions quickly improve, even if the creeks are still overflowing. Wind and a few rays of sunshine do much to dry out the trail, as long as we avoid its murky puddles. 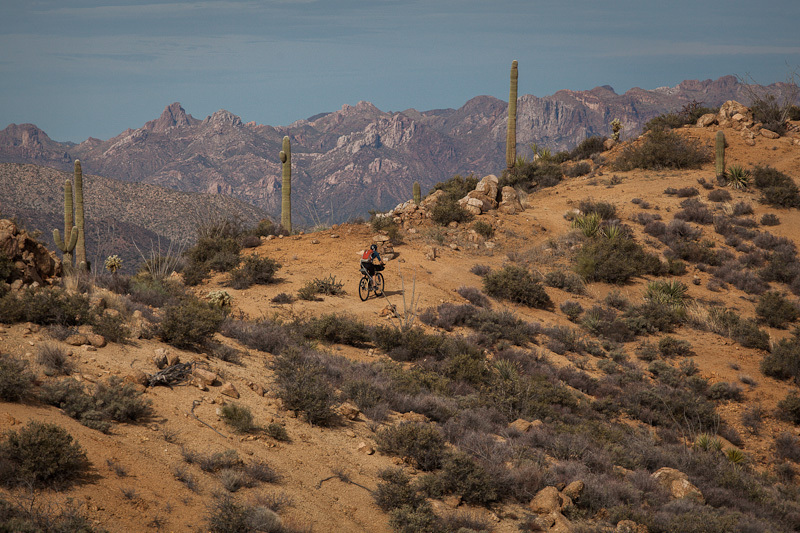 Back up we climb: the view from atop one of the mining roads, across distant desert plains. Our return journey leads us through Box Canyon, en route back to Florence. The last light of the day – and finally a break in the clouds. One final night is spent camping beyond the canyon. There’s just time to catch the last instalment of Batman before the tents are sprinkled with rain once more. Then it’s back to the car to drop Joe off at the airport in Phoenix. We loiter in the Safeways car park to dry gear and pack away our belongings, basking in the accomplishment of the ride, but more than a little downcast it’s over so soon. 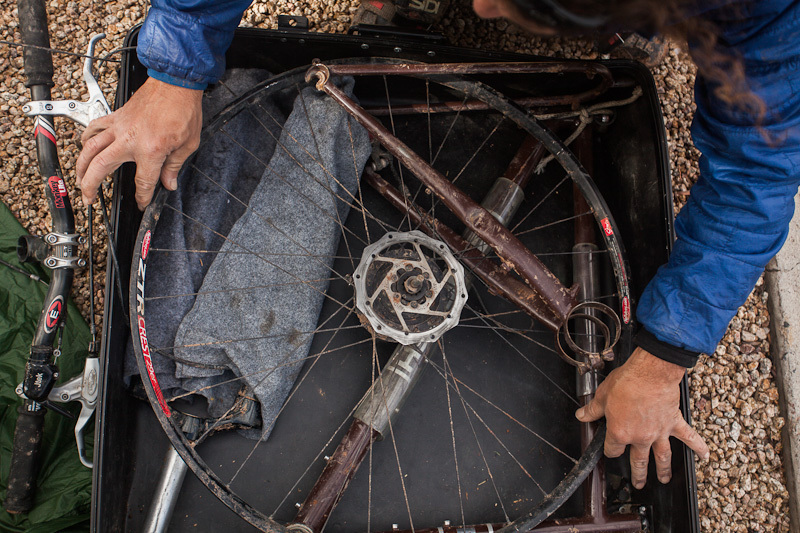 We marvel at Joe’s remarkable mountain bike that squeezes so neatly into an airplane-friendly suitcase. Camera: Canon 5d Mk2, Canon 17-40mm f/4 and 70-200mm f/4 lenses. excellent! 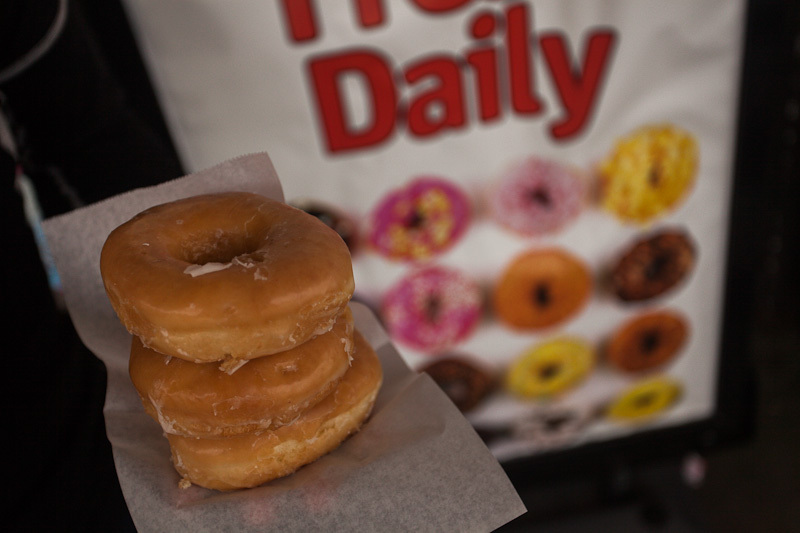 fuel for an itinerant’s day dreams…. Beautiful! I’m a bit bummed to be back home in the cold and snow. I want to go back! Yeah… especially now the sun is out in all its glory! Nice article, great pictures. I really had to LOL reading your remarks about traveling light and then finally reading “Camera: Canon 5d Mk2, Canon 17-40mm f/4 and 70-200mm f/4 lenses.”. Yeah! They probably weigh more than the rest of my gear combined! I normally carry a far more diminutive Lumix GH2, but I’m lacking a wide angle lens with my M43 system, and I really miss it. The 17-40 and 70-200 give a nice range of options. Because they’re f/4, they’re not massive (the telephoto is non IS)… until you put them next to a mirrorless camera! The camera sits in a lumbar pack, and the spare lens in my frame pack. If I pack carefully, this means I don’t need to carry a backpack, but still have quick access to my camera both on and off the bike. Loving both the slideshow gallery effect and the 6 moons tarp…! 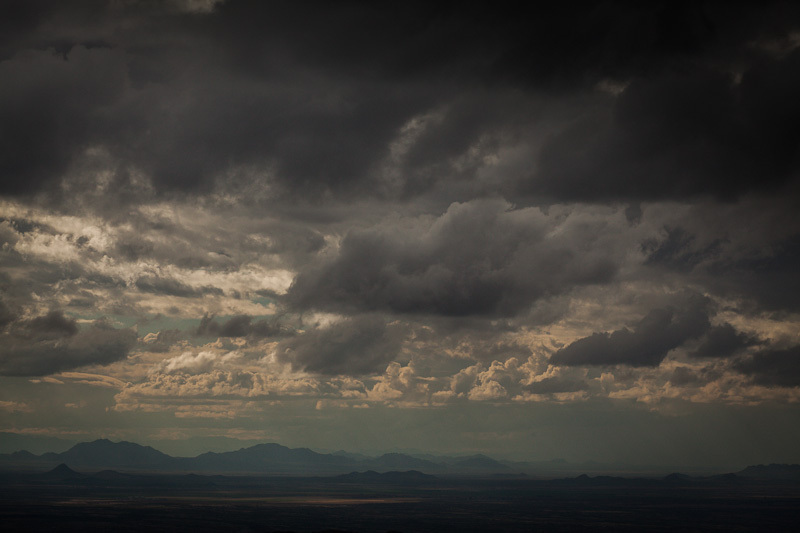 Also you have given me new incentive to use my 17-40 lens. I have grown bored of it and barely use it. Actually, I just saw the pole is an extra $30 and not included with the poncho tarp. Still, it only weighs 51g! Mine is on loan from a friend and for these kind of trips, it’s perfect. Personally I don’t need the poncho option as I’m not hiking, but it’s pretty cool. Being so tiny, it’s not so downpour-friendly though. Banner pics on your new site look great, btw. 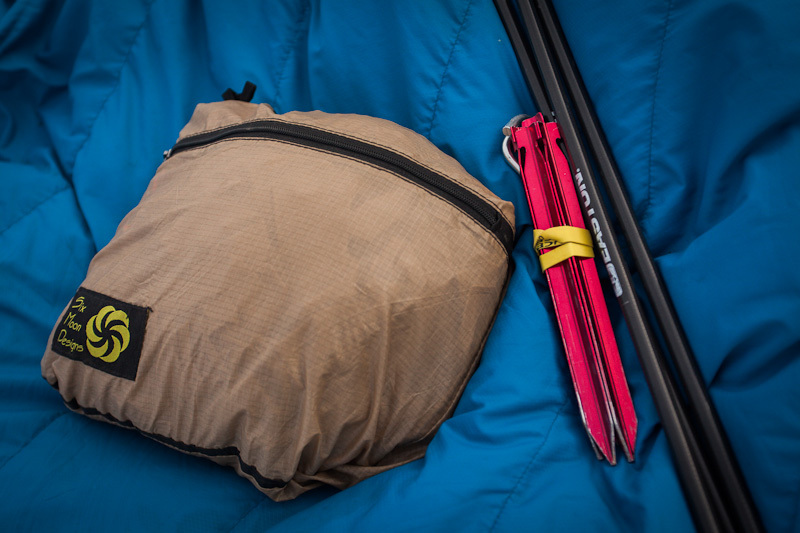 The Skyscape Trekker looks interesting. It has a bug screen which is important. You have to peg it down which is sometimes a problem but you could use your bike for two of those anchor points. I like that you can open the tarp covering on all sides if desired. For the pole you could use either a tripod (I still like tripods for mounting video cameras, I don’t know how else you can mount them) or half a paddle, since I want to do some bikerafting. This looks right up my alley since I want to ride through the mountains of BC and I have to cross many lakes and rivers. Six Moons do a bunch of nice stuff. I have one of their lightweight packs (http://www.sixmoondesigns.com/packs/Swift.html) that I really like. Perfect for hiking trips on a bike tour, as it rolls down super small in a pannier, then uses a Thermarest as the back support. Sounds fun re your Alpackaraft project! Love your photos! 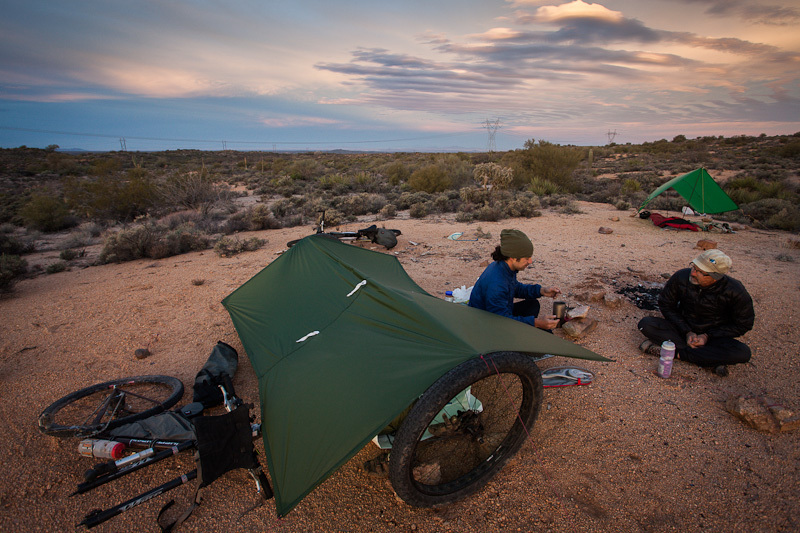 This looks like a cool bikepacking adventure. I just discovered your blog via AlmostFearless.com and I’m loving it. 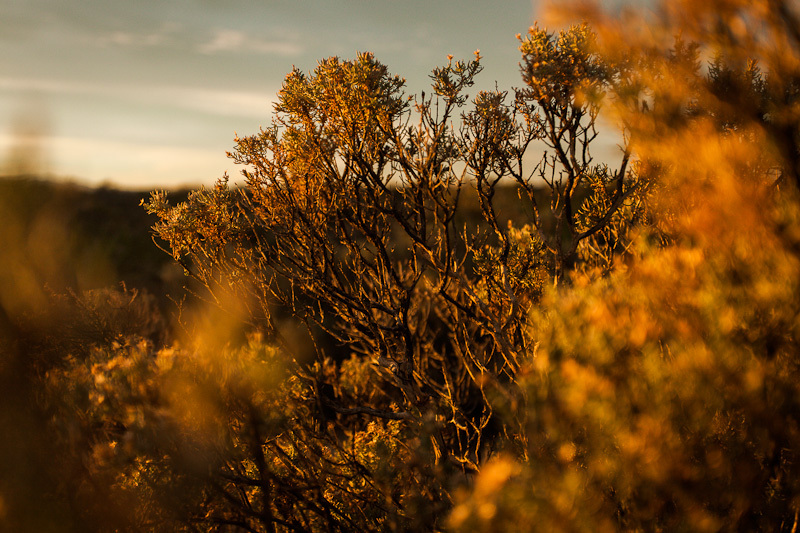 Which lens you used to capture the 39th image (The last light of the day – and finally a break in the clouds.)? Really nice shoots Cass! That was the 70-200 f/4 lens, shot at 90mm. Been meaning to reach out and say hello for a while. I met Nick Carman in Anchorage about 6 months back at the beginning of my tour who steered me to your site. 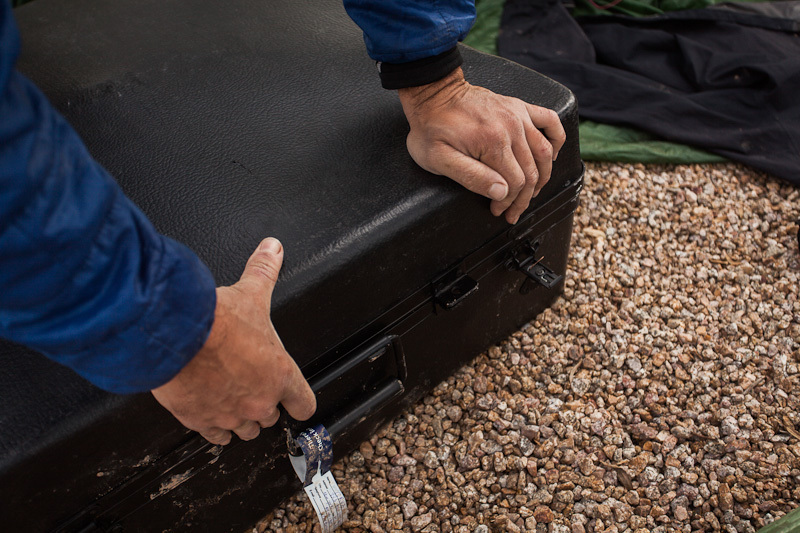 It’s been a great resource of information both for route finding and gear daydreaming. 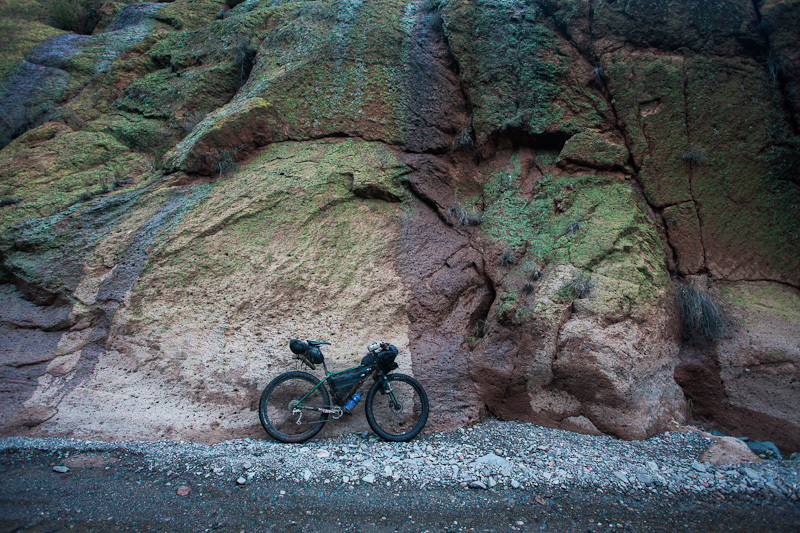 Anyway, I’ve been running an Ogre for the last 9000 miles of bikepacking fantasticalness, including sections of the GDMBR, Colorado Trail, Kokopelli, AZT, Coconino, BCT, etc… You get my drift. The Ogre was converted to a Rohloff at great investment a few months ago, which has proven a good investment so far. 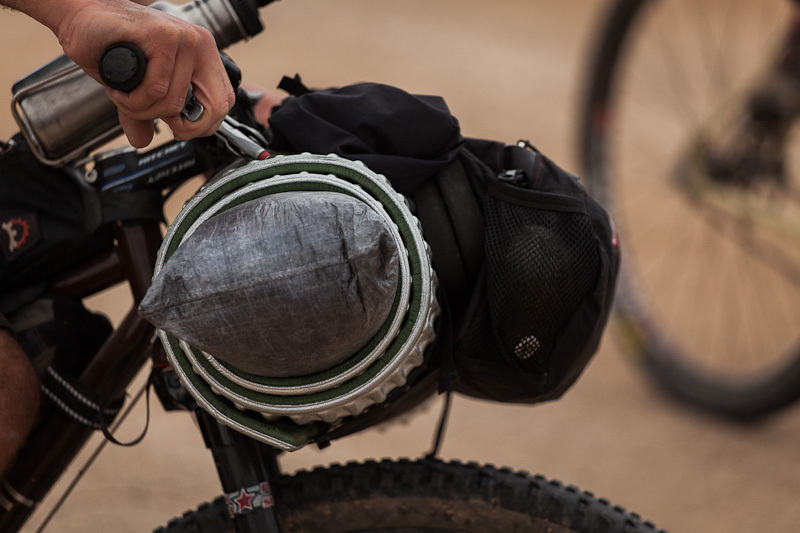 The trick is that I LOVE pulling the bags off the bike to ride technical single track whenever I can, and I’m curious about switching to a Krampus (or other 29+) for that reason: bigger tire cush, higher BB, slacker head tube, etc. So I’m wondering given that I see you’ve run both bikes now, what’s your ultimate preference if such a thing exists? Do you think the Krampus with Rohloff can still withstand the beating that the Ogre can? As much as I love the Ogre, I actually chose to take a Krampus away with me on this current trip (Ecuador) for exactly the reasons you mention. Sounds like we share the same mentality. I modified mine with rear rack mounts and the aftermarket Krampus fork – so it now has all the rack and bottle mount gubbins I could possibly need. So far, it’s been awesome. I love the extra cush of the fat tyres (and the option of running 2.4s if I need to). Mud clearance isn’t massive, but so far no cause for concern, when run with a Rohloff at least. And, there’s now a bunch of new tyres on the market, which is cool. I’d say go for it! The ECR is a great bike too. It’s obviously less of a fight to make it into a rugged touring rig, but for singletrack and lightweight bikepacking, I prefer the Krampus. Note that the ECR is also more Rohloff-friendly than the Krampus, but with a Monkeybone, you can make it all work ok.
All the best, and again, sorry for the delay in getting back to you. Look forward to following your trip! Thanks Cass! I ended up putting a Krampus fork on my Ogre which slacked out the geometry just enough to make it more fun. Knard in front, Minion in back. Loving it. Got me through some of the Baja 1000 sandy sections down here in Baja. It was also the cheapest option. Switching the whole frame would have been a beast of a job. I hear you about the internet limitations. I’ve had a hell of a time finding places to upload photos and download maps. Alas. It’ll all work out. Way more variables to deal with than in the States or Canada. But amazing people and stunning country. I’ll also look forward to following your trip through Ecuador… I’m hoping to do as much off road and trail routes as possible going South from here, so any suggestions you have of places not to be missed would be great!